Gord and I went to the fourth annual Toronto Oktoberfest this evening. We went last year and had a fun time. 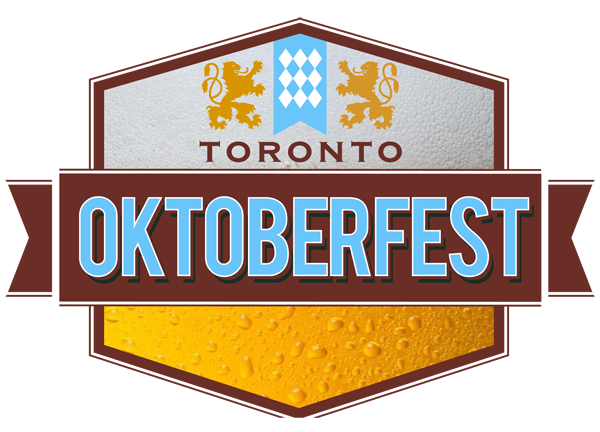 Dig out your lederhosen and dirndls and join us for Toronto’s only authentic Oktoberfest party! Inspired by traditions started in Munich, Germany over 200 years ago, Toronto Oktoberfest brings a taste of Munich to the City as it captures the essence of authentic food, drink and merriment. Guests will experience the best in Bavarian fare, German and European biers, entertainment and an atmosphere so authentic, you’ll feel like you’re in Munich. 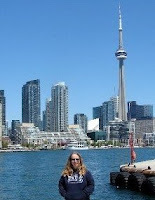 It was held in a tent at Ontario Place. We got there just before it opened at 6pm. My co-worker, Larissa, joined us. Drink tickets were $8.50 each. Two tickets filled the stein with beer. I drank Paulaner all night ... it was good! There was food for sale. Gord got a pork schnitzel. I also bought some cashews to snack on. There was a band playing throughout the night. A couple times during the night George, the drummer, drank beer and Jägermeister shots while standing on his head. Then the second beer ... no hands! Around 7pm, there was the tapping of the keg. There were Bavarian dancers throughout the night. I ducked outside for a bit and there was lots going on out there. These two got a bit crazy and danced on the table. Security rushed right over and told them they couldn't get on the tables. But they ended up as friends. It was a fun time and I look forward to next year! Dunno, LeeAnn! We're going to another next week.